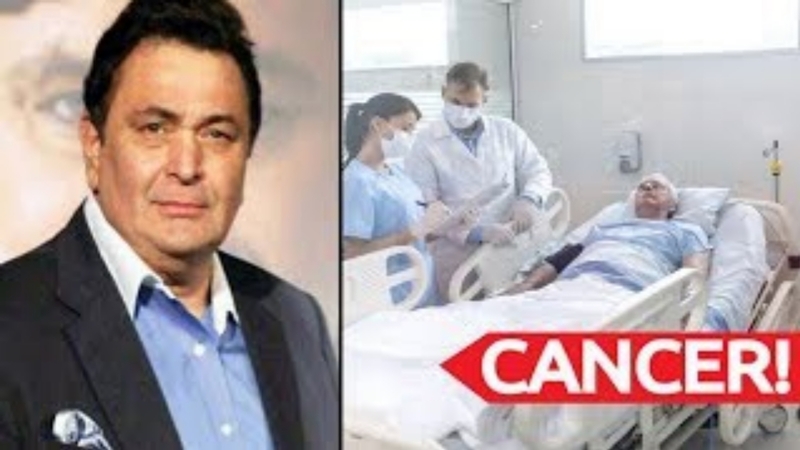 Several media reports suggested recently that actor Rishi Kapoor has been diagnosed with an advanced stage cancer. It was being reported that the veteran actor has flown to the US with his family to undergo the treatment for cancer. However, Rishi's elder brother, Randhir Kapoor, has dismissed all the rumours regarding his health. In an interview with The ET Times, the actor has mentioned that Rishi hasn't even started undergoing the tests in the US and it's unfair to speculate anything about his health let alone reporting that he is suffering from cancer. Randhir said, "We don't know yet what is the exact nature of his ailment. Rishi himself doesn't know what he's suffering from. He has not even started undergoing tests there; how can people speculate that he has cancer and that too, one that has escalated to advanced stage". He added that Rishi is currently preparing himself for the tests and requested media to not speculate anything. He said, "Let him undergo tests peacefully; whatever the results, we will let everyone know. He only reached America two-three days ago and so far, he was being prepared for the tests that he has to undergo. Depending on what the results are, his line of treatment, medication and other modalities will be decided upon. It's not fair to speculate things just like that". The Kapoor family is currently dealing with a family crisis situation. Krishna Raj Kapoor, late Raj Kapoor's wife and the mother of Rishi Kapoor, Randhir Kapoor, Rajiv Kapoor, passed away on Monday, October 1, due to cardiac arrest. The eldest son, Randhir Kapoor, performed the last rites of his mother in the absence of Rishi, Neetu and Ranbir. Earlier, as he flew to the US, Rishi tweeted and requested fans and the media to not believe any rumour about his health. He posted, "I am taking a short leave of absence from work to go to America for some medical treatment. I urge my well-wishers not to worry or unnecessarily speculate. It's been 45 years plus' of wear and tear at the movies. With your love and good wishes, I will be back soon!" Hello all! I am taking a short leave of absence from work to go to America for some medical treatment. I urge my good wishers not to worry or unnecessarily speculate. It's been 45 years plus of wear and tear at the movies. With your love and good wishes,l will be back soon!